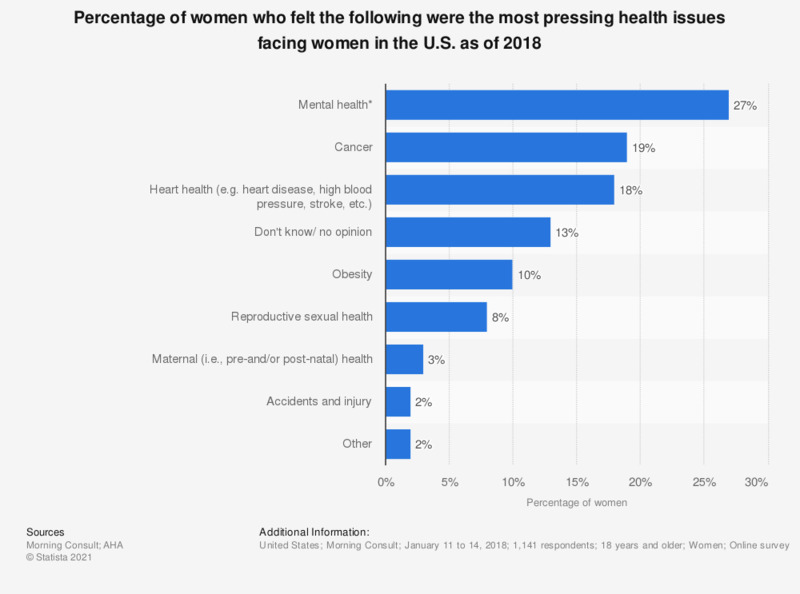 This statistic shows the percentage of U.S. women who stated the following were the most pressing health issues facing women in the U.S. It was found that 27 percent of women felt mental health was the most pressing health issue facing women in the U.S. Original question: "Which of the following would you say is the most pressing health issue facing women in the U.S."
* Anxiety, depression, substance abuse, psychological disorders, eating disorders, body dysmorphic disorder, etc.